Listed below is an update of some families we have been helping since our last report in February. Marcus was first referred to us in the spring of 2015 when he was a seventeen year old high school junior and football player who was being heavily recruited by Ivy League schools. Sadly, his diagnosis of leukemia changed some of his and his family’s plans. The Foundation helped with several months’ rent following his diagnosis. This is a proud family; both parents are teachers, there are six adopted children and they were very hesitant about receiving any assistance from the Foundation. Even though Marcus is doing well and is now commuting to college, he is still receiving treatment and will, at least until this August. Frequent medical appointments accounted for too many lost days without pay. A friend of the Foundation let us know the family could use some additional help so we paid an additional three months’ rent for the family. Sometimes, we are notified about a family in need by a family we have assisted. Such is the case with Angelica, an eight year old diagnosed with a pediatric brain tumor in September 2017. Angelica has had two surgeries at Hershey, six weeks of proton radiation at CHOP and now is undergoing chemotherapy at Hershey. Although dad has been able to continue to work, her mother has had to take an unpaid leave of absence to care for her daughter. The Foundation paid several mortgage payments for Angelica and her family. The social worker at Hershey described Belle as a “4 year old Paw Patrol loving little lady” who was diagnosed in February 2017 with bilateral optic glioma, a type of childhood brain cancer. Belle lives in Carlisle with her parents and 3 younger siblings. Her chemotherapy regime will be extensive and extended and requires her family to transport her to the specialty outpatient clinic at Hershey Medical center multiple times each week. Because of this type of schedule, the family depends on a reliable vehicle. Neither parent is working, at present, because of physical issues and does not have a lot of community or family support in their area. The Foundation provided a used, reliable vehicle for the family so Belle could get to her weekly appointments. The Foundation is often asked to supply rent or mortgage payments, purchase a used vehicle, pay utility bills or pay other household expenses. In the case of 3 year old Demayne, the request was a bit different. He was diagnosed with a malignant brain tumor in December 2016. Following an intensive course of chemotherapy and surgery, the pathology on the tumor in May 2017 showed a more aggressive form of cancer causing his treatment plan to be altered. Demayne began radiation therapy and a new course of chemotherapy which will last several more months. His single, pregnant mother’s biggest need at this time is to make her current apartment as safe, clean and comfortable as possible for Demayne and his younger half-brother. The Foundation was asked to provide a washer and dryer and an area rug to make their apartment a better environment for the children. Nicky came to our attention through a friend of the Foundation. He is a nine year old who was diagnosed in January 2018 with a malignant brain tumor at CHOP. He’s had surgery and daily radiation treatment. For the foreseeable future, he’ll need to return frequently to the hospital for monitoring and treatment. An already strained family situation has been exacerbated by Nicky’s condition. To ease the family’s circumstances and allow them to concentrate on their son’s care, the Foundation is making several mortgage and vehicle loan payments. 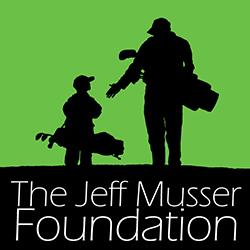 As you can see, your contributions to the Jeff Musser Foundation are used in a variety of ways, sometimes as simple and straightforward as a mortgage payment, sometimes a bit more unusual by attempting to create a safe and clean environment for a cancer patient by purchasing a washer and dryer. Regardless of the type of assistance provided for each family, all of them are helped in a tangible way by your continued generosity. Your support of these families allows them to concentrate on the important task of caring for their sick children.